The Most Detailed Forex.com Review | Is Forex.com Scam or Safe? Hello my friends! I will introduce you to the leading US broker Forex.com today. FOREX.com is a trading name of GAIN Global Markets Inc. The broker connects independent traders to the potential of the global currency markets since 2001. FOREX.com’s parent company, GAIN Capital Holdings, Inc. (NYSE:GCAP), is a publicly traded company and meets the highest standards of corporate governance, financial reporting and disclosure. In this Forex.com review, you will take all the answers to these questions: Is Forex.com scam or good forex broker? What are the account types of the broker? What are the trading conditions such as spreads, leverage, and minimum deposit? Is Forex.com regulated? They have been a registered Futures Commission Merchant (FCM) and Retail Foreign Exchange Dealer (RFED) with the Commodity Futures Trading Commission (CFTC) and member of the National Futures Association (NFA # 0339826) since 2004. As you see, the broker is one of the most reliable brokers around the world. It is regulated by many watchdogs. They increase its reputability and security. Forex.com offers its clients two account types. These are the Standard account and Commission Account. Standard Account is ideal for traders looking for a traditional FX trading experience, the Standard Account offers ultra-competitive spreads with no commissions. Your cost is the spread. The spreads on EUR/USD for Standard Account is a minimum of 1.1 pips. Spreads will vary based on market conditions, including volatility, available liquidity, and other factors. The second account is Commission Account type. It is for traders looking for the flexibility of trading significant reductions on spreads – EUR/USD as low as 0.2** – with low commissions. The broker offers powerful trading platforms designed to meet the needs of currency traders who are looking for maximum performance, flexibility and speed. Forex.com offers also the most popular trading platform MetaTrader 4. Benefit from the reliability of a trusted broker, ultra-tight spreads, exceptional trade executions and unique trader tools. 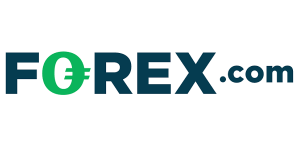 For over a decade, FOREX.com has been serving the needs of currency traders worldwide. It offers sophisticated trading tools, competitive spreads and execution quality on over 80 currency pairs. You can trade the world’s most popular equity indices across American, European, Asian and Australian markets. You can trade US and UK company shares including Barclays, Amazon, Tesla and Apple. You can trade the world’s most popular global commodities across American, European, Asian and Australian markets. 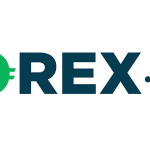 Another thing I like about Forex.com is the fact that it supports several convenient payment methods, and namelY Debit Card, Wire Transfer, ACH and Checks. What is even more important from a client’s point of view, withdrawals are processed pretty fast – within 48 hours. Forex.com is a reputable and reliable US forex broker who offers good trading conditions with powerful trading platforms includes MT4. It offers more than 80 forex pairs and CFDs, it has serviced over 200,000 customers globally. It has trustable licenses. Regulated by solid watchdogs such as FCA, ASIC, NFA. You can find pros and cons of Forex.com in the table below. You can also find other forex brokers as reliable as this broker on my top forex brokers list. Any Forex Broker You Want to be Reviewed? Which Broker You Want Me to Review? How to Trade a Divergence in Forex?